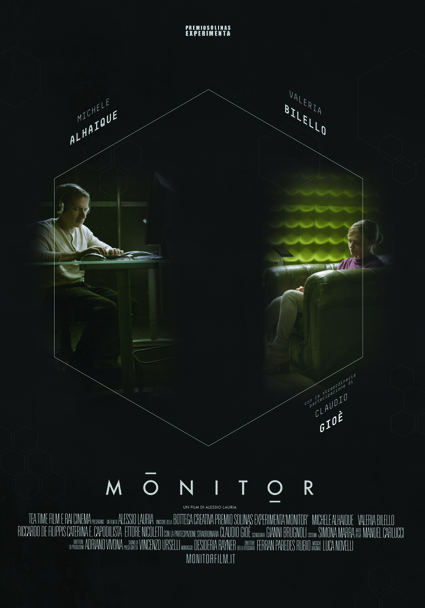 The movie Monitor tells the story of a perfect company, effective and performing, which use a team of supervisors, called ‘monitor’, to act as “psychologist” for the employees. 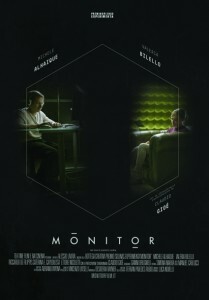 The monitor is behind a wall and communicates with his patients througha a screen in a comportable room, but he can just listen and let his “patients” relax and talk about themselves, without giving solutions to their problems. Relax without asking for solution is the method and the key of a good work. But things turn upside down when a Monitor falls in love with one of his patient and all the systems go in pieces. The project oriented the script adding atmospheres and recurring shapes and design. The transmedia projects included the official poster, characters poster, CG Art, Teaser CG, Videoclip, Trailer, Opening titles and social media campaign for the movie. Max Giovagnoli has been credited as Transmedia Producer and the project has been developed for Tea Time Film and RAI Cinema.